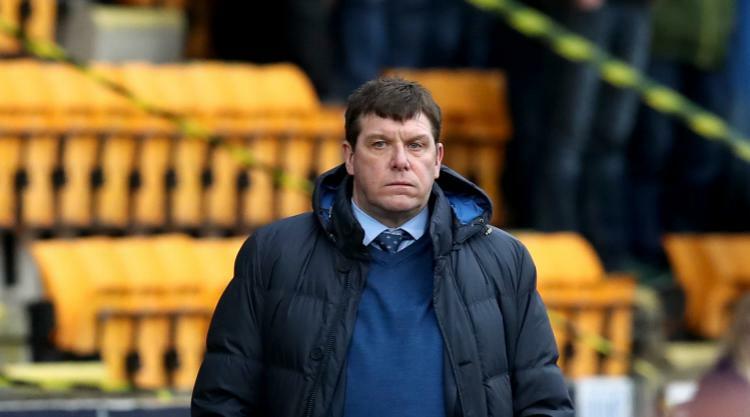 St Johnstone will on Thursday conclude their investigation into the dismissals of Richard Foster and Danny Swanson for fighting with each other on the pitch on Saturday, but boss Tommy Wright insists he has already drawn a line under the matter. Foster and Swanson were suspended by the Perth club pending an investigation after being sent off at half-time in last weekend's 1-0 Ladbrokes Premiership defeat at Hamilton for an on-field altercation seconds after the interval whistle sounded. Both were also banned for the 1-0 home win over Hearts at McDiarmid Park on Wednesday night which took St Johnstone five points clear of the fifth-placed visitors and six behind Rangers, with seven games remaining. Wright, whose side face bottom side Inverness on Saturday, said on Thursday: " The club will conclude the investigation today. "Danny and Richard have been in and they will be in today again and the club will make a statement later on this evening or it might be tomorrow morning. "But I would imagine it will be in the next 24 hours. "That will officially put a line under it but the line was drawn under it from my point of view and the players' point of view come Monday morning, and that was proved with the type of performance we put in (on Wednesday night)."